I do not provide sample meal plans because I am of the belief that they do not teach someone how to eat in the real world. I do make my “My Fitness Pal” account information available for clients (or anyone else who is curious) to see so they can look at my Diary section for ideas and I encourage them to follow my Instagram and other fitness based Instagram accounts for meal ideas as well. If you would like to see my MFP Diary, shoot me a friend request through the app. My account name is gretchentseng . Do you work with pregnant / nursing women? I do work with both pregnant and nursing women. I tested through continuing education with an emphasis on Nutrition for Women and Reproductive Health. I absolutely work with men! Do you only work with fitness-minded people or do you also work with those who do not workout? You do NOT need to work out in order to lose weight. While I heavily encourage exercise, IIFYM can work for anyone at any stage of their fitness journey. Do I have to exercise along with the nutrition program? You do not have to eat meat or follow any specific diet to use IIFYM. Its doesn’t matter if you have no diet label or if you eat paleo, vegetarian, vegan, gluten-free, etc. When eating vegan or vegetarian it can be more difficult to reach your daily protein goals than it is if you consume meat, but it is very doable. Most vegan sources of protein also contain carbohydrates and that is where the difficulty lies; in trying to reach your protein goals while still staying within your carbohydrate goals for the day. With proper planning on your part it will work out just fine. Plant-based protein powders can also be a very helpful protein source in these situations. Do you work with obese people? Of course! I enjoy working with people wherever they are on their health journey. If you are experiencing health issues I will want to get approval from your doctor to work with you since losing weight often means reducing medication along the way (yay!). You will need to check in with your doctor regularly to make sure you are on the proper dosage as you get healthier. As a general rule , I work with adults. I am willing to consider working with someone under the age of 18 on a case by case basis if I am in communication with their parents. What is a” Reverse Diet”? Click HERE for more information on Reverse Diets. Click HERE to follow my journey on my most recent Reverse Diet. A “cut” refers to going through the process of losing weight/fat. Click HERE for more information. Carb cycling refers to eating different amounts of carbs on different days. Your higher carb day/days fall on the days when you do your heaviest weight training (generally leg days). There are endless variations of carb cycling and it is something I utilize with clients from time to time for a few different reasons. Perhaps the most common reason I use carb cycling is for a client who has days during the week when they have really intense training sessions and they need to replace the glycogen with a carb refeed. Not all of my clients are looking for weight loss, there are those that are looking for increased athletic performance and / or muscle gains. I utilize carb cycling for athletic performance and tailor macros specifically for what my athletes plan on training each day. Another reason I would utilize carb cycling is if a client’s calories are getting really low and they want to continue dieting, sometimes their hormones get finicky and that can result in their body wanting to hold onto fat because it senses that it is in a state of starvation. By increasing carbs once a week it can trick leptin into allowing the body to release fat because it doesn’t feel like it is constantly in a caloric deficit. I also have clients that benefit from knowing that one day a week they get to have increased carbs, even if that means that their fats will be reduced that day; it’s something to look forward to that motivates them to stay on plan for the rest of the week. Do I have to track my food before you set my initial macros or can you just set them for me right away after I pay? I understand how eager many people are the get started with their new eating plan and there was a time when I would agree to create plans for clients without them first tracking their food, however I no longer do that. Fortunately I am busy enough that I am willing to turn business away from those who want to skip this step. I have found over time that the people who are not willing to track their food for the Introductory Questionnaire (That is how I gather information to create client plans), are not committed to the process. If you won’t track your food BEFORE beginning a program, you will most likely not track your food once you begin a program. Unfortunately these are also the people who tend to say that macros didn’t work for them. I can emphatically say MACROS WORK, inconsistency doesn’t. It’s science…it works. 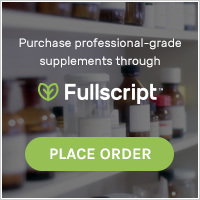 I have also found that I have the most success prescribing your initial macros to you when I have accurate information from you with regards to your current intake and that saves you time and money because it reduces the likelihood of having to keep adjusting your macros until we find the ones that work for you. How do I set-up my macros in My Macros+? Click HERE for a My Macros+ tutorials. How do I set-up my macros in My Fitness Pal?